ATR is the No 1 choice for your global equipment rentals. We deliver our services & products to a range of markets from Offshore and Subsea, Onshore operations & the renewables industry. With a comprehensive range of equipment available for your power, lifting, tooling and subsea needs, ATR's assets and expertise are fundamental and essential parts of any successful project. If a client doesn’t have access to the right tools, plant and equipment, as they require them, it becomes impossible to complete their projects on time and within budget. Our business units focuses on delivering cost effective equipment, tooling and lifting solutions to companies “Right First Time, On Time, Every Time”. By focussing on our client requirements and identifying our opportunities, we have become recognised as an important and integrated supply chain partner to over 1,200 Companies, delivering the rental and sale of High Quality plant, tools, lifting equipment, subsea tooling and consumables. ATR Group is committed to solving our clients’ owned equipment and rental equipment challenges through our capacity and technical expertise. 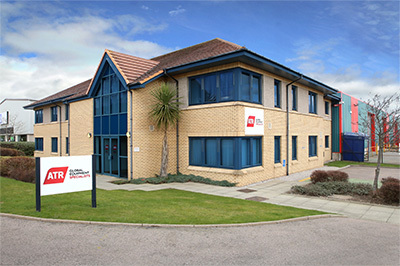 By focussing on our client’s requirements and delivering cost effective solutions, we have become recognised as an important and integrated supply chain partner to over 1,200 Companies, delivering the rental and sale of High Quality plant, tools, lifting and lifesaving equipment, subsea tooling and consumables. Our Highly experienced and knowledgeable team manages the fleet of some of the most demanding and logistically diverse companies in the sectors we serve, whilst managing the complex certification and inspection needs of thousands of assets. This is achieved by investing in the right people, assets and infrastructure – and recognising them as core business strengths. Resulting in the ATR Group maintaining our position as leading specialists within our field.